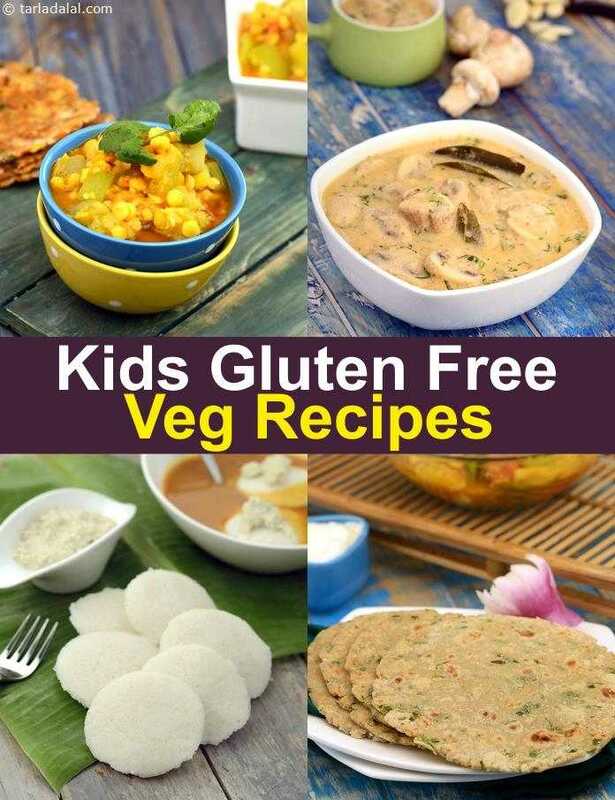 Is your gluten-sensitive kid craving for favourites like idlis, dosas, pizzas, pastas and wraps? Well, this exclusive kiddie section gives you innumerable gluten-free recipes, which will delight your children and ensure that they do not miss the tabooed foods. What is more, most of these recipes are not just tasty but quite wholesome too! There are so many options for Gluten free Breakfast. From the basic Idli to Rasam Idli to Idli curry are there to be had with Gluten free Tomato Chutney or . Then there are a large collection of Dosas to have as they are made up of rice and dal. There is the classic Dosa to healthy Brown Rice Dosa to Poha Dosa to be had with Coconut Chutney. Paneer Palak , Quick Paneer Sabzi from Punjab to some Mushroom Curry to Soya based Chana Soya Masala. Have these Sabzis with some Gluten free Parathas and Rotis.